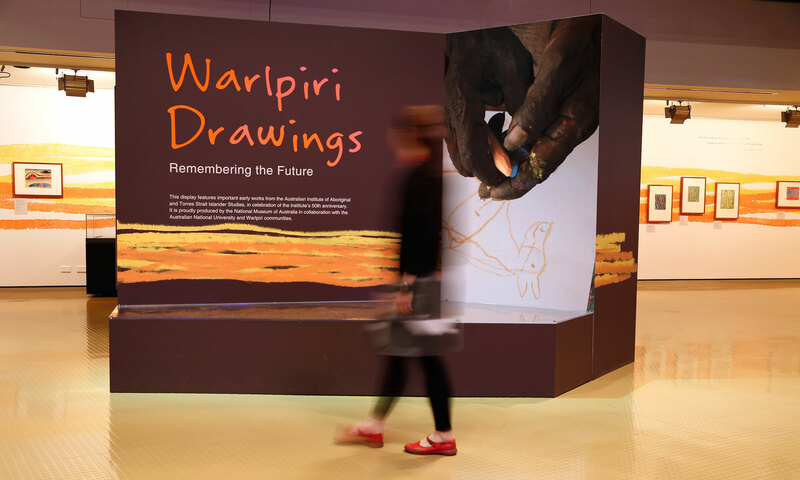 The National Museum of Australia engaged Thylacine to design an exhibition of drawings by the Warlpiri people of the Northern Territory. The drawings are done in colourful crayon, and span an 80 year period in the life of this community. Thylacine designed the spatial layout of the exhibition, and also devised the graphics, including the exhibition title and the object labels. A central motif was the yellow and orange “crayon” line which was painted around the walls of the exhibition at eye level, tying the drawings together and evoking the landscape in which they were drawn.